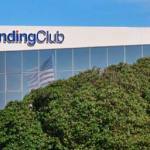 Groucho Marx said he refused to be a member of any club that would accept him, but he never heard of Lending Club. When walking through their offices in downtown San Francisco, past the foosball and ping pong tables, mini golf course that mazes around the floor and comfortable lounging areas it definitely seems like a place one would want to be. 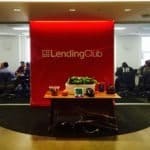 Don’t let the start-up vibe fool you though; Lending Club is a $4 billion company with an employee roster 500 strong on the brink of an initial public offering. 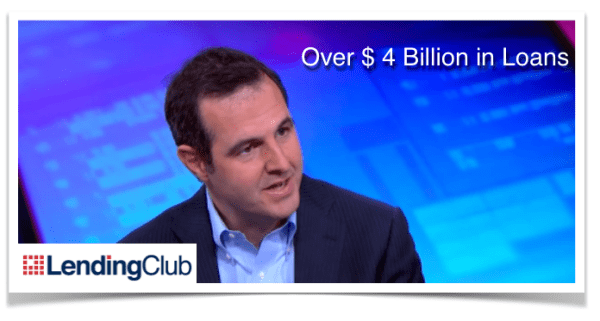 With Renaud Laplanche at the helm, Lending Club, this country’s dominant peer-to-peer lending facilitator, just crossed the $4 billion mark in loans made. application and approval process to cut down on the time and cost associated with personal finance. The basic concept is that individuals can apply for loans via an online platform where they enter certain information including their credit score, income and the use of the funds, which can be anything from repayment of credit card debt to vacations to home improvement. 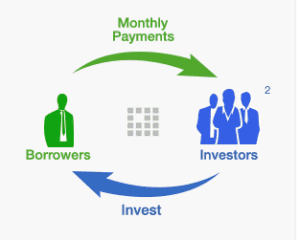 The platform assigns a risk profile to the loan and investors can then review the available loans and invest in one or a group of loans based on certain characteristics the investor choses to screen for or against. Investments can be as low as $25 and once enough investors commit to fund a particular loan, the actual loan is originated by an FDIC insured bank partner and then sold to Lending Club. 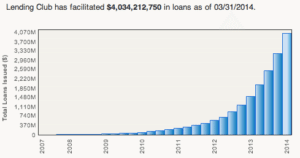 Lending Club then issues borrower dependent notes based on the underlying loan to the applicable investors. 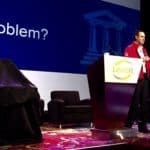 This complicated process prevents Lending club from being regulated as a traditional bank which keeps that overhead down. 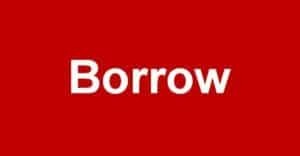 Investors are charged 1% of all cash returned and in addition to the fixed interest rate on the three or five year loan, borrowers are charged a fee or one to five percent which Lending Club shares with the originating bank. 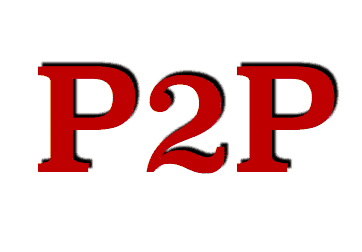 Except for nominal money transfer fees, which are conducted as ACH transactions, no other fees are charged. 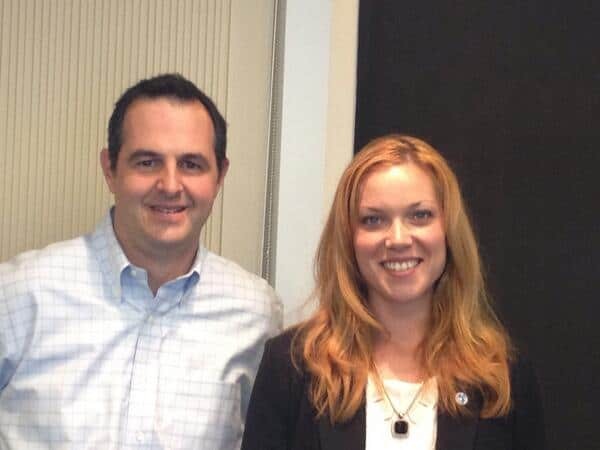 In 2008, the SEC determined that the interests that Lending Club was issuing to investors were “securities” which needed to be registered with the SEC, and required a temporary shut down of Lending Club while they underwent the registration process. At this point, knowing that every individual loan would need to be registered with the SEC, many would have closed up shop and marked it a good effort. 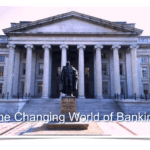 But Renaud, confident in his ability, even to automated the SEC filing process, persevered and with some great lawyering, constructed the current model, which uses a shelf registration statement and files supplements for each loan that is made. This model allows ordinary investors and NOT only accredited investors to participate in the loans. 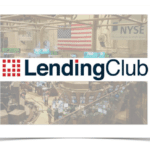 In addition to the registration of each loan offered, Lending Club has to file 10-Ks, 10-Qs, 8-Ks and other mandatory disclosures with the SEC, making its forthcoming initial public offering inaptly named. Renaud was understandably mum on the IPO issue. One concern that I have with this model is that the investors are actually assuming two credit risks, that of the ultimate borrower (the individual receiving the money) and that of Lending Club itself, since it is the issuer of the note held by investors. 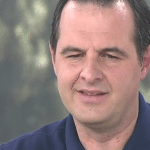 Renaud assured me that there are procedures in place in the event anything happens to Lending Club to ensure all loans continue to be serviced and investors continue to be paid. 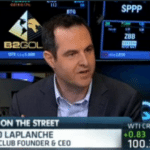 In addition he noted that Lending Club currently has enough cash on the balance sheet to cash collateralize all the loans outstanding (not too shabby – but begs the question, why the need for an IPO?). 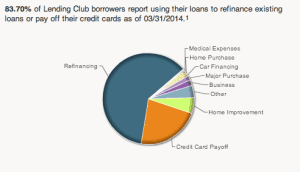 The secret sauce of Lending Club is the underwriting and automation of the whole loan process. The average loan size on Lending Club is too small to justify a traditional bank’s internal procedures and overhead. An interesting phenomenon is occurring however, even though banks are not originating the type of loans offered by Lending Club, they are purchasing the loans once made, back from Lending Club. This is a testament to the platform’s use of technology and creation of efficiencies. 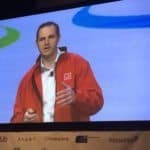 As far as the underwriting process is concerned, Lending Club intakes a significant amount of data from applicants including a direct pull from ADP or Paychecks to verify income, which saves the applicant the time of searching for and sending in a W-2. 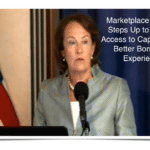 Lending Club does not meet with borrowers face-to-face, which is often required in a traditional bank setting. 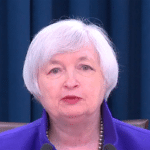 Renaud claims that this is actually beneficial, as it prevents any bias based on the person’s physical appearance that historically has prevented certain classes from obtaining loans. 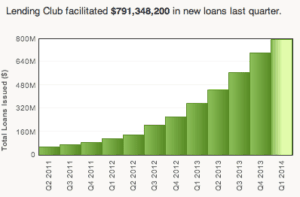 A new area that Lending Club is moving into is small business lending. I find this most exciting, and hope it becomes another arrow in the quiver of financing alternatives available to small and startup companies, which has previously been fairly empty. The business loans are unsecured, capped at $100,000 and the underwriting is conducted on a combination of the business and the owner. 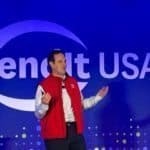 Renaud does not see Lending Club as a threat to traditional banks and stated that currently there is an ecosystem in which both entities play a crucial role. When asked about the current regulatory regime, which I have noted in previous articles is quite complex and onerous, he felt that it was fine. After I put my eyeballs back in my head, I realized that of course this was the perfect response. 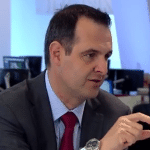 After all of the time, money and energy spent figuring out and navigating the morass of regulatory and compliance issues this burgeoning industry faces, Lending Club, focused on its next phase – an IPO, is okay with things just the way they are. The spider web of state and federal laws and regulations is a significant barrier to entry to any new competitor in the space. 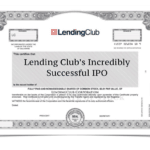 So with over 75% of the current U.S. peer-to-peer market share, Lending Club would prefer this club to stay as exclusive as possible. 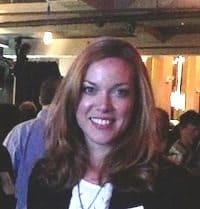 Georgia P. Quinn, a senior associate in Seyfarth Shaw LLP’s Corporate department, has spent her career representing public and private companies and investment banks in a wide range of capital markets transactions, including registered offerings and private placements of debt, equity, and hybrid securities. Over the last year, Ms. Quinn has led Seyfarth’s Crowdfunding Initiative, helping clients stay at the forefront of the enacted and proposed SEC regulations. Georgia has conducted webinars, presented to the New York State Bar Association’s Securities Law Section and the Business Law and International Sections, has been featured on Crowdfund Insider and has been invited to chair a panel on Crowdfunding for the American Bar Association in April. All views and comments above are strictly her own views and do not reflect the opinion or position of Seyfarth Shaw. 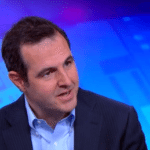 This entry was posted in Featured Headlines, General News, Investment Platforms and Marketplaces, Opinion and tagged georgia quinn, lending club, p2p, peer to peer, renaud laplanche. Bookmark the permalink.